– Harry James (1916-1983) band leader and trumpeter. I cannot agree more! We somehow assume that Chilli con Carne is an authentic Mexican dish but you will be surprised to know that the only thing certain about the origins of chili is that it did not originate in Mexico! Here is some interesting information about it. In fact it is one of the most famous dishes in Texas, hence it would be better defined as a Tex Mex dish. 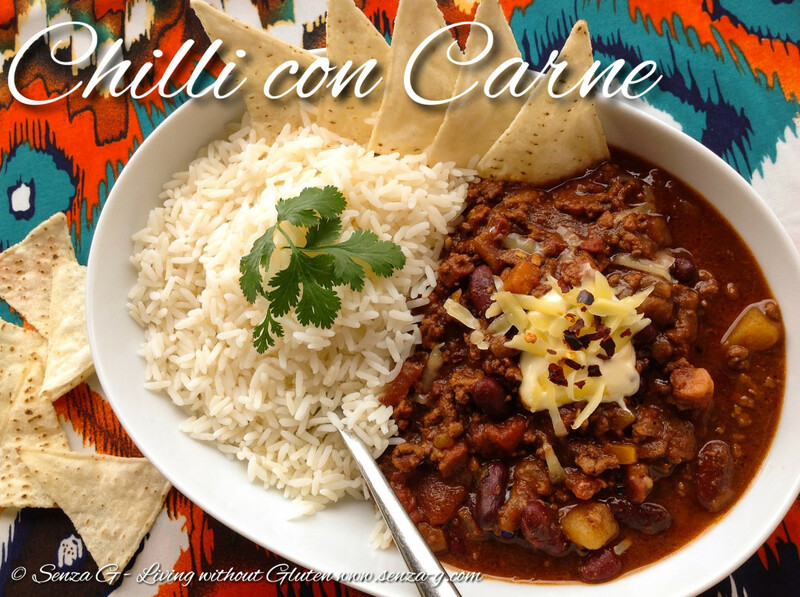 There are many variations of the Chilli con Carne recipes, my favorite is one with two secret ingredients … cocoa and coffee. Do not be afraid to try it! I can assure you, it tastes delicious! Also do not be put off by the long list of ingredients! Trust me, it will all be worth it when you taste it! In a large pot, sautee the onion, carrot, celery and jalapeño in some olive oil for a few minutes or until the onion turns translucent. Add the Pancetta, garlic and chopped herbs and cook for a few minutes more. Add the mincemeat to the pot and brown stirring all the while. Thrown in the potato cubes. Season with salt and freshly ground pepper, then add the spices – the garam masala, paprika, cumin and chilli, followed by the tomato paste. Pour in the wine, add the sugar and cook until the wine is almost absorbed. Finally add the canned chopped tomatoes, the coffee, the cocoa powder and three cups of the stock. Bring to a boil and then lower the heat and let simmer for about an hour and a half to two hours, stirring occasionally. If too thick, add the extra stock. During the last half an hour of cooking, stir in the canned kidney beans. Before serving, garnish with a dollop of sour cream and some shredded cheddar, or sliced onion and/or avocado cubes as well as some tortilla chips. *Increase or decrease the amount of chilli according to how much heat you can take!